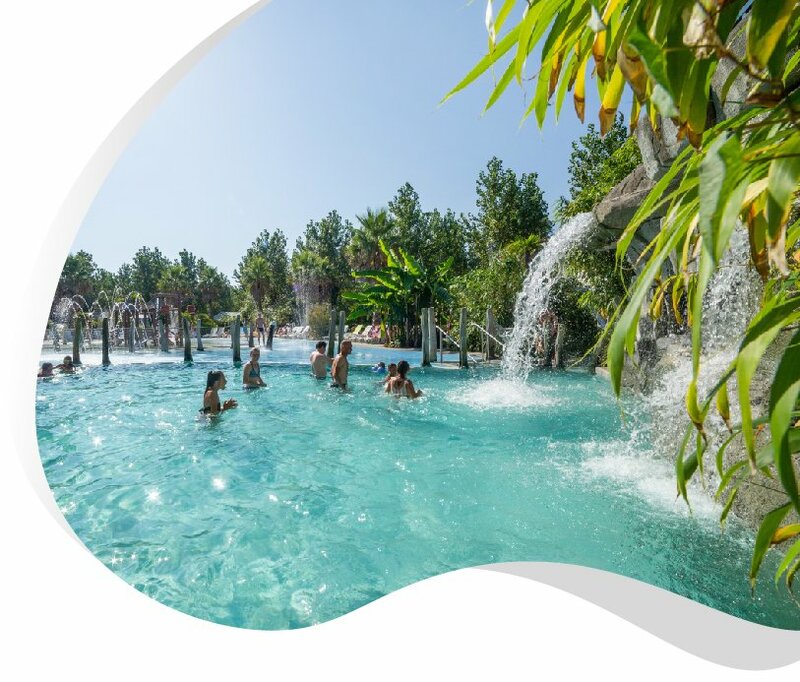 4 stars Airotel Camping OYAM, located in the heart of the Basque Country, near Biarritz, offers you the opportunity to spend unforgettable moments in its super heated aquatic area of 2500m2. 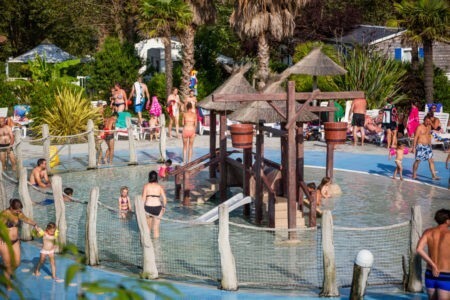 The water park at Camping OYAM, in Bidart, is open and heated every day from May 1st to the end of September! 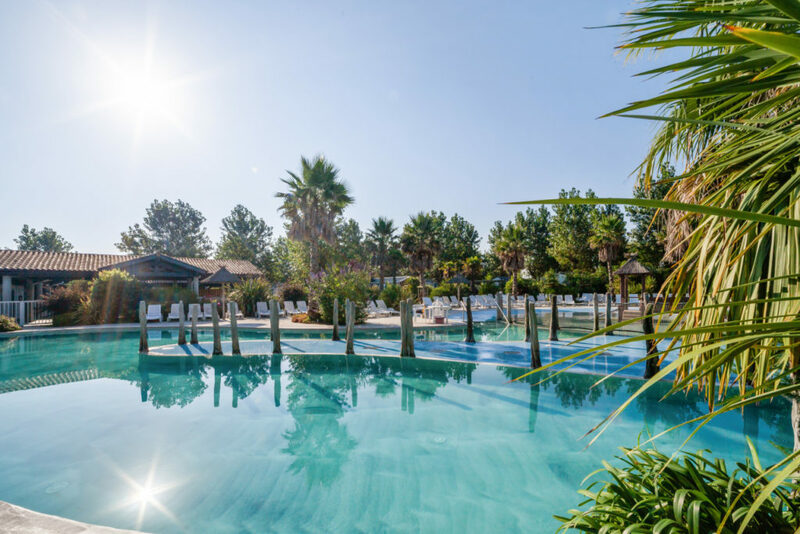 Divided into 2 fun swimming areas linked by a beautiful beach with many deckchairs, the heated aquatic area is the privileged place of our dear customers. The solarium overlooks the space and will make you take on magnificent colours under the sun of the Basque coast. 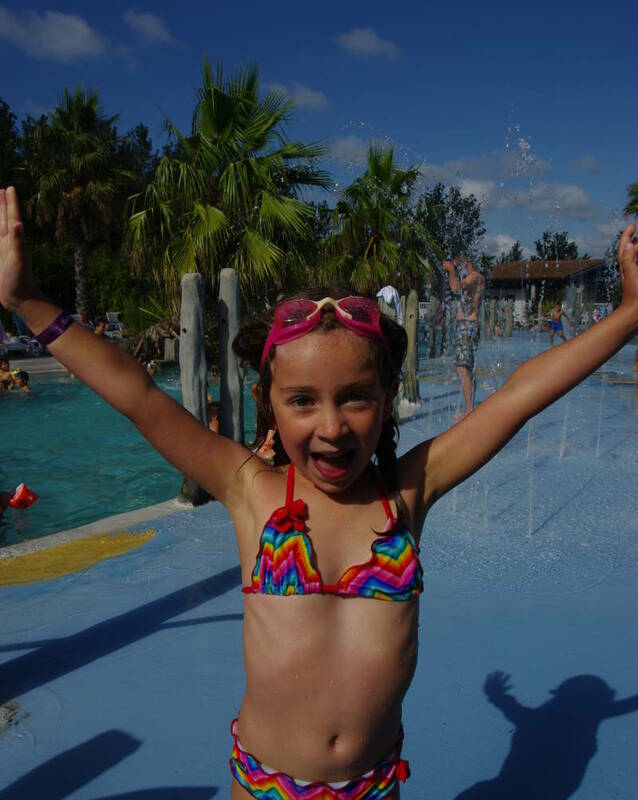 Play, swim, dance or sunbath under the watchwords to have a great stay at the campsite. in order to boost your camping holiday, the animation team organises aquatic gym sessions in the pool in July and August. Water games can also be set up. We played water volleyball last summer, it was ideal for a sports holiday in 64! What about my little one who can’t swim yet? 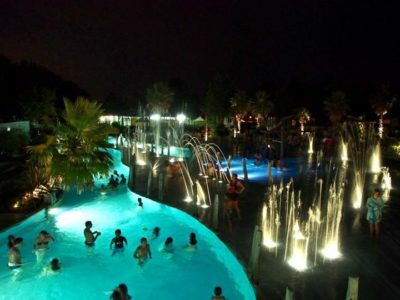 A paddling pool just for them awaits them with slides, 2 buckets that overturn…, and as a bonus a water-spray area as well as water slides for a fun camping stay in the Basque Country. 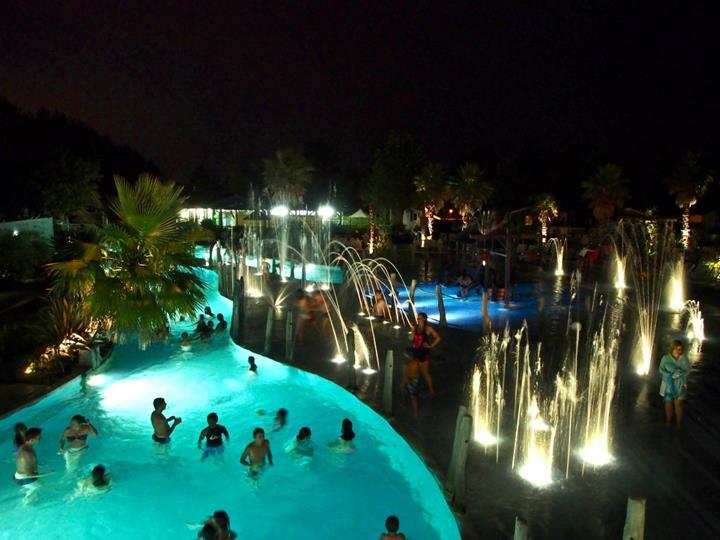 All aquatic areas are heated. And if I want to take swimming lessons? A specific bathing suit is mandatory (swimming shorts are allowed). Access is reserved for campsite guests only at no extra charge!